You can change the text and audio for any of the labels that appear on the Schedule, Waiting and Feelings board. This feature can be useful for non-English speaking users or if you have additional ideas on how to customize the boards for your specific scenario. Open the app settings panel by taping the gear icon (top left) on the app's main screen. 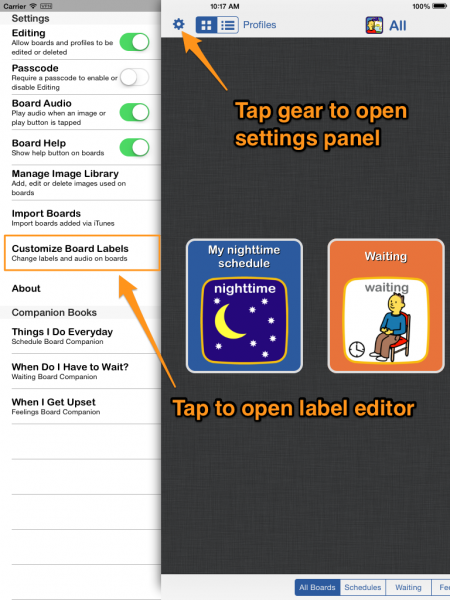 Tap on 'Customize Board Labels' to open the label editor. This screen is where you can see the currently selected label set, list of all custom label sets, add new label sets and change the current label set. 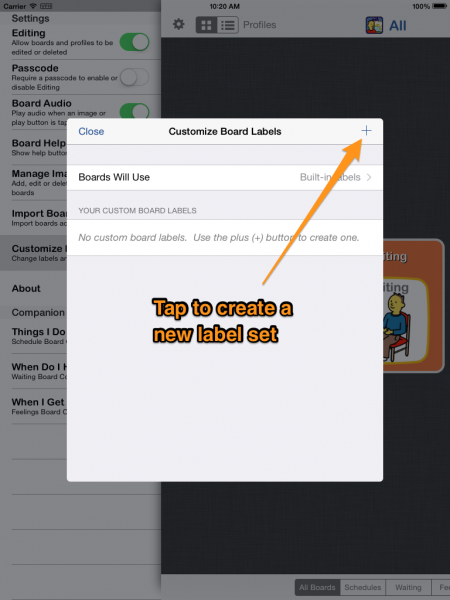 Tap the plus (+) icon to add a new label set for the board(s). 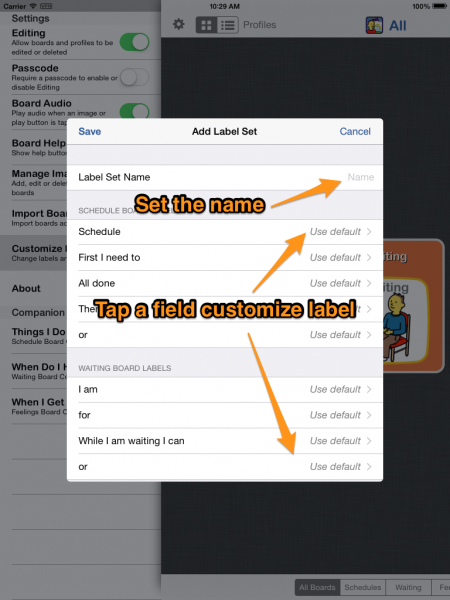 Tap the name field to set a name for the label set. The labels for each board are listed. Tap on the one(s) that you want to customize. If you don't customize a field, the default will be used. 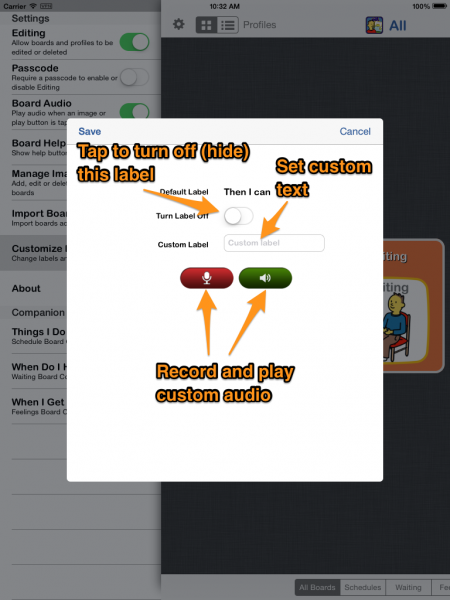 After tapping on a field, you can set custom text, record a custom audio or turn off the label so that it is hidden from the board. When you are done customizing, save the label and labet set. Your new label set will be selected as the current label set. Next time you open a board, it will be displayed with your custom label(s).